FarmAlpacasPackagesGreat Starter Herd Package! Color Champions Included! Great Starter Herd Package! Color Champions Included! Sadly, we have decided to disperse of our little huacaya herd in Santa Fe, NM. Our herd consists of 3 males. Included in this package are two of our Color Champion males. 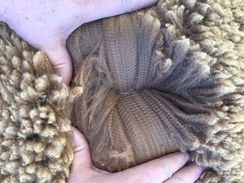 Wide Sky Our Chance is a 2017 TXOLAN Fleece Color Champion and Judge's Choice winner, and Wide Sky Lord Winston is a 2016 GWAS Fleece Reserve Color Champion. Both Winston and Chance have their offspring on the ground, both gorgeous fawn females. Our herd sports strong Peruvian genetics. Some of those genetics include: Altair's Vito, PPeruvian Demetrio, Peruvian Bledo, PPPeruvian Auzengate, Victor's Hemiaccoyo Casanova, Snowmass Peruvian Casanova, Snowmass Invincible, Snowmass Legacy Gold, Snowmass Maree Love (Dam to Matrix), Incan Magic, PPeruvian Felix, Dom Lucilio, PPPeruvian Royal Fawn, PPPeruvian Augusto, 5Peruvian Silverado, 4Peruvian Altiplano Gold, Peruvian Presidio, and Xanadu Travesura. WE ARE VERY MOTIVATED TO SELL, ASAP!! Thanks for looking!